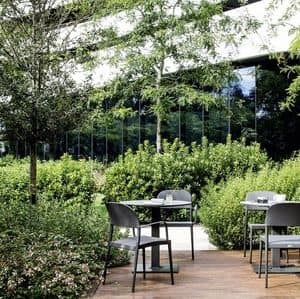 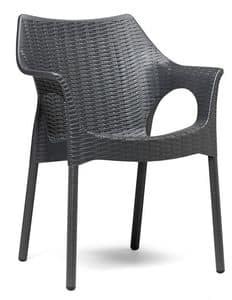 Outdoor arm chair for bars, hotels and garden. 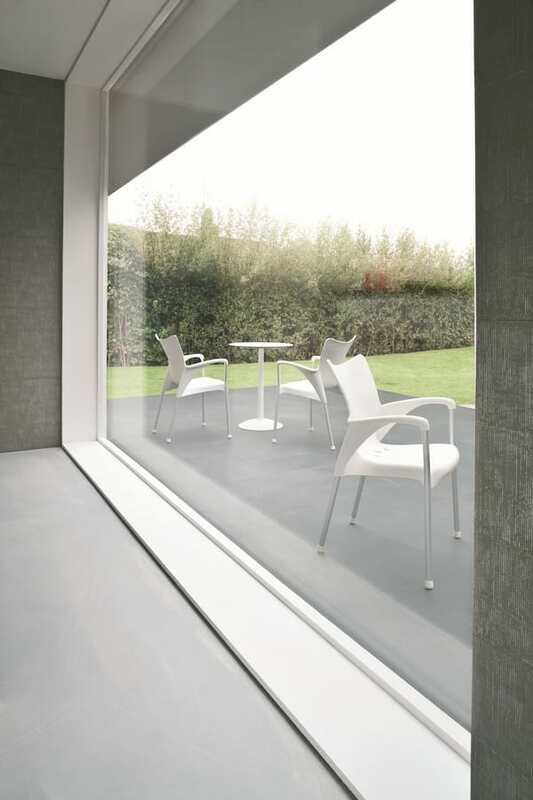 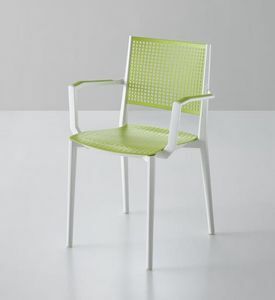 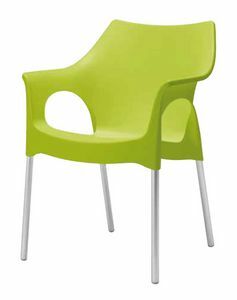 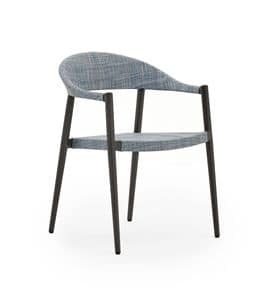 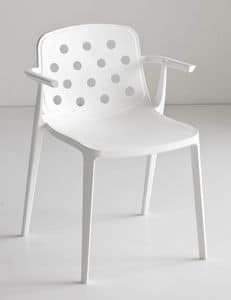 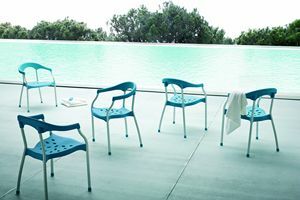 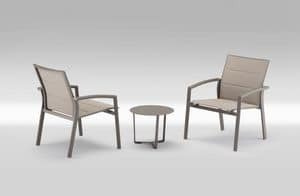 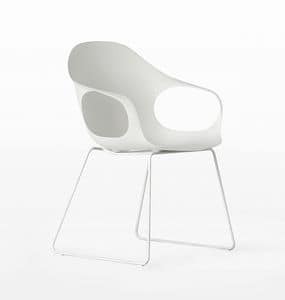 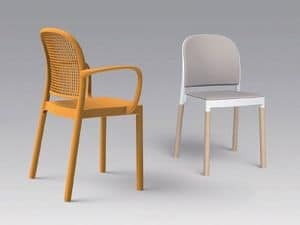 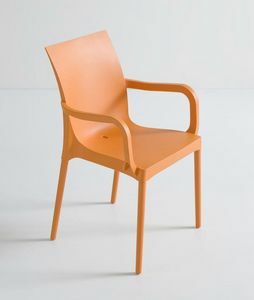 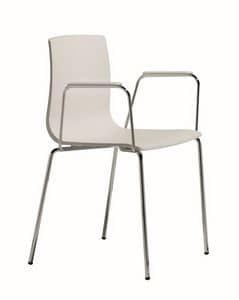 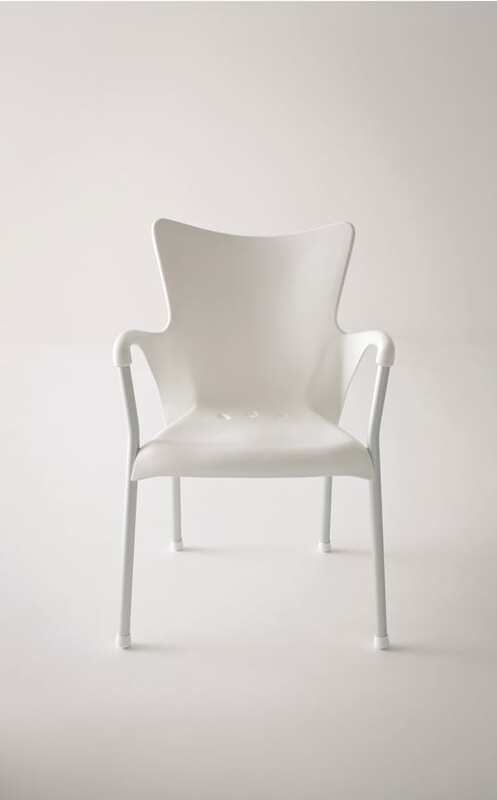 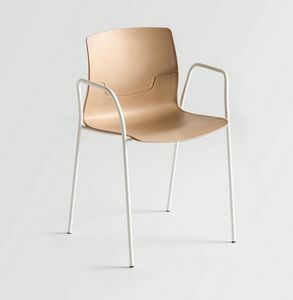 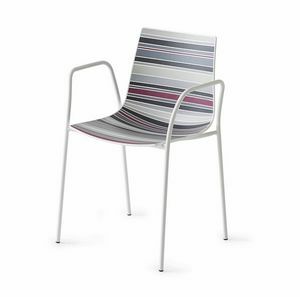 Stackable arm chair aesthetically tied by a captivating refined design and comfort, resistant to all weather conditions. 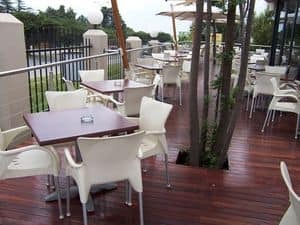 Designed to resolve the needs of community space problems such as hotels, gardens, coffee houses, meeting areas and showrooms. 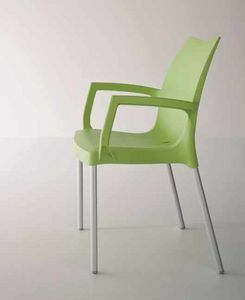 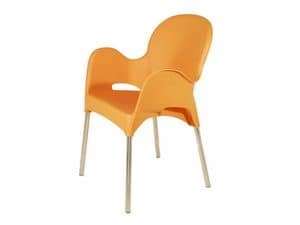 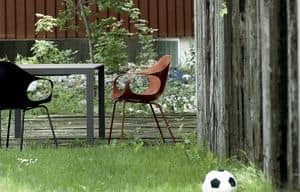 It is produced with a resistant durable and recyclable material like aluminum and loaded polypropylene, it is available in a large selection of colours.